Why bother caring, he thought. That’s when Justice ended up in the hospital for 21 days. He had double pneumonia from an upper respiratory infection. When Justice was 3, doctors had diagnosed him with cystic fibrosis, an incurable genetic disorder that clogs the lungs and digestive system with mucus, making it difficult to breathe and digest food. The three-week period was Justice’s third hospital stay. The first two were each a week long for less serious respiratory infections, Justice said. When doctors discharged Brandon this time, his father had a plan. Throughout Brandon’s childhood in Texas, David Justice, a now-retired Austin police officer, had tried everything to get his son to be active: martial arts, swimming, running. “I tried to encourage him to treat his body as an athlete,” David said. 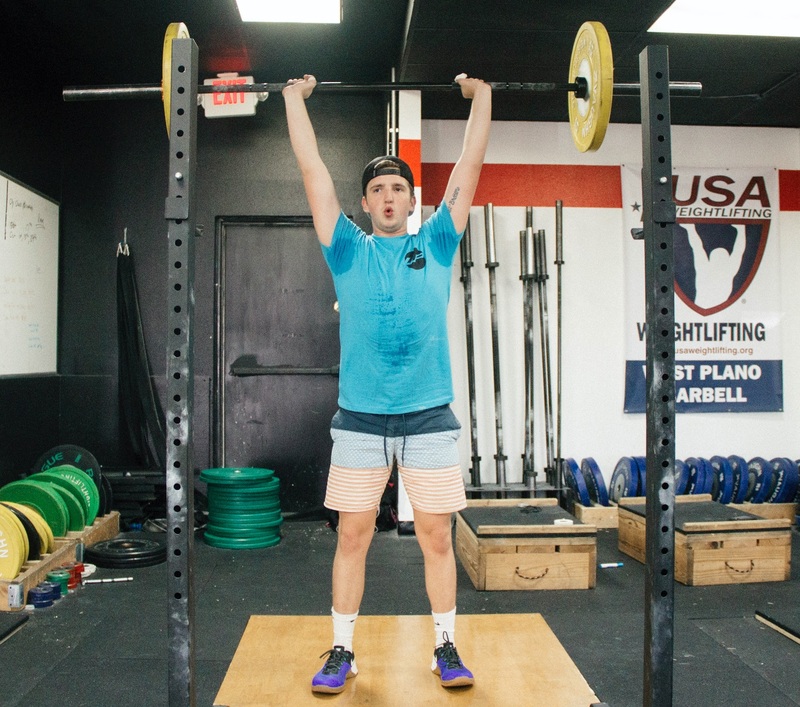 But the day after the teenager left the hospital, David took him to West Plano CrossFit. “We’re gonna do this,” he told his son. Brandon (left) and his father, David Justice. 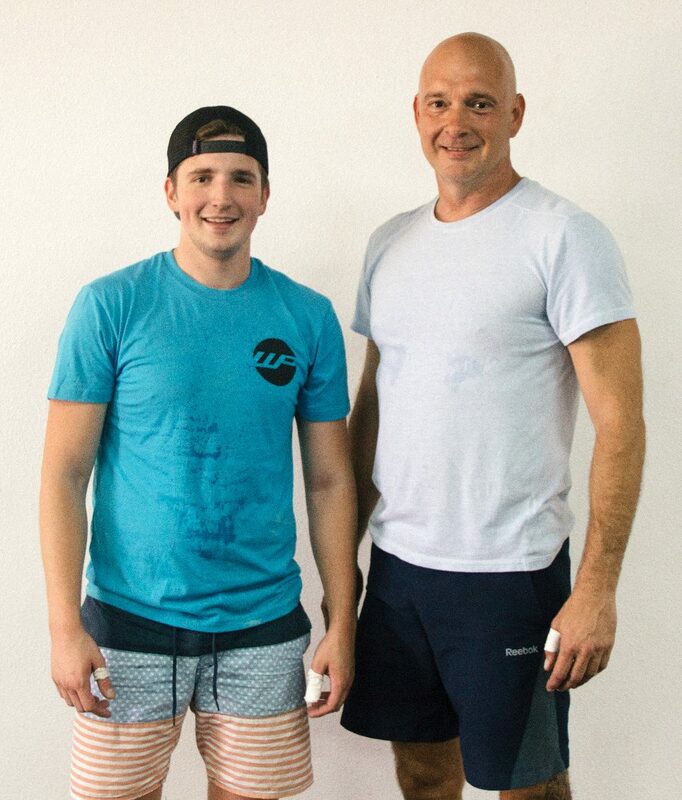 Their first workout was Fight Gone Bad, requiring 1 minute’s worth of work at each of five stations: wall-ball shots, sumo deadlift high pulls, box jumps, push presses and rowing. “It was complete hell. But it was (hell) in the best way possible,” said Brandon, now 21. In three years, 5-foot-10 Justice has gone from 135 lb. to 175 lb. and has dramatically improved his lung function. He’s shaved roughly 2 minutes from his 1-mile time, now running it in about 7 minutes. A new lease on life: Brandon is very optimistic about a future that now includes making it out of his 30s. And the experience has shown Justice that he controls his own reality. To say it’s changed his outlook on life might be an understatement. Justice, a computer-science major, is now looking forward to graduating from college and one day having a family—things he previously deemed unattainable or pointless to pursue.